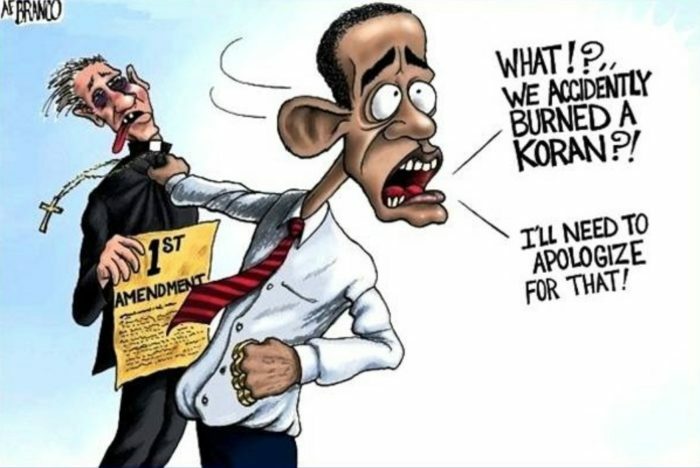 What is it with this guy always demanding everybody must bow to Muslims? NEW DELHI: India needs to “cherish and nurture” its Muslim population, which is integrated and considers itself Indian, former US president Barack Obama has said. It is an idea that needs to be reinforced, he emphasized at an event of a media organization in New Delhi on Friday. Obama touched on a host of topics, including his relationship with Narendra Modi and Manmohan Singh during his address and the question-answer session. Obama said he emphasized the need for religious tolerance and the right to practice one’s own faith during closed-door talks with PM Modi during his last trip to India in 2015. Referring to India, he said, “And that is something that needs to be cherished and nurtured, cultivated. It’s important to continue reinforcing it.” To a separate question, he said Modi’s “impulse” was to recognize the importance of Indian unity. “I think he firmly believes the need for that in order to advance to the great nation status,” Obama said.